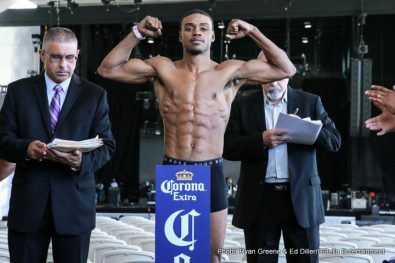 With one day to go before his important IBF welterweight eliminator bout, undefeated Errol Spence Jr. (20-0, 17 KOs) weighed in at 146.2 pounds on Friday for his fight against 41-year-old Leonard Bundu (33-1-2, 12 KOs) on Sunday on Premier Boxing Champions on NBC at the Ford Amphitheater in Coney Island, in Brooklyn, New York. Bundu weighed in at 146.2 pounds as well. 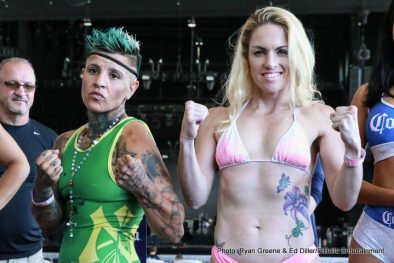 The two fighters looked like they didn’t belong in the same weight class when they stood side by side by side after weighing in. The 5’9 ½” Spence looked much taller than the 5’6 ½” Bundu. It’s hard to imagine Bundu being able to win this fight by looking at the two fighters stand next to each other. 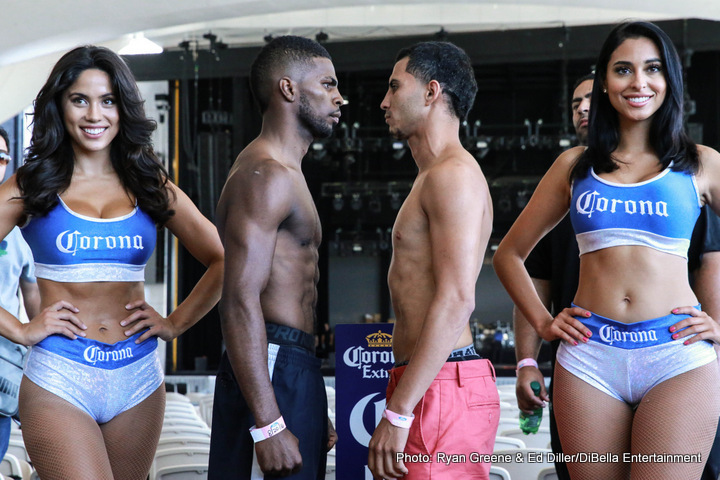 Bundu may have given Keith “One Time” Thurman a lot of problems two years ago, but it’s going to be more difficult for him to be able to do the same thing with Spence, because his game is more suited towards doing well against Bundu than Thurman’s. Bundu is an inside fighter that likes to throw body shots. Spence is the same type of fighter, but he’s capable of throwing much harder punches to the body. 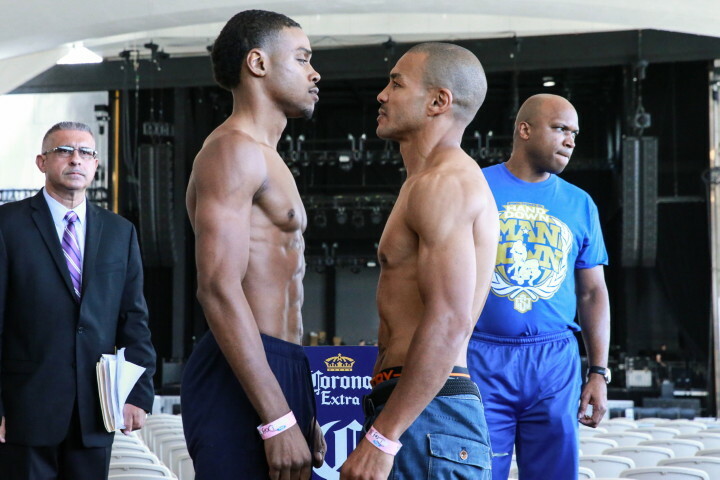 Spence, 26, is also capable of fighting on the outside, which Bundu cannot do in this fight because he’ll be giving up a lot of reach to the taller Spence. 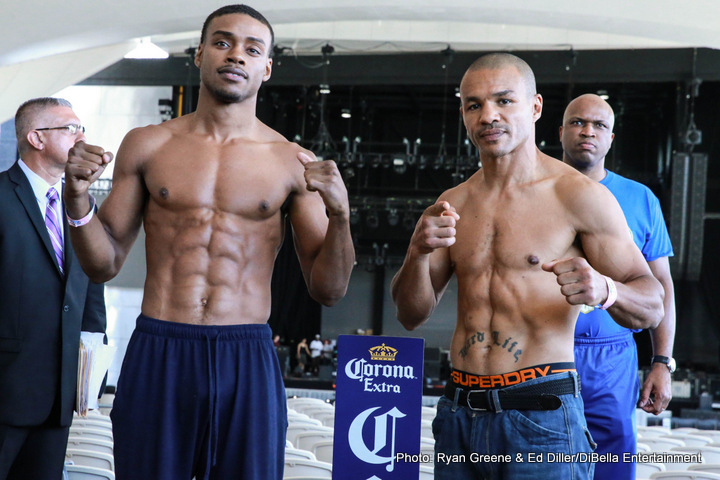 Spence wants to blast Bundu out to help pick up more boxing fans and to show the world the difference between him and Thurman. We’ll see if he can do that. 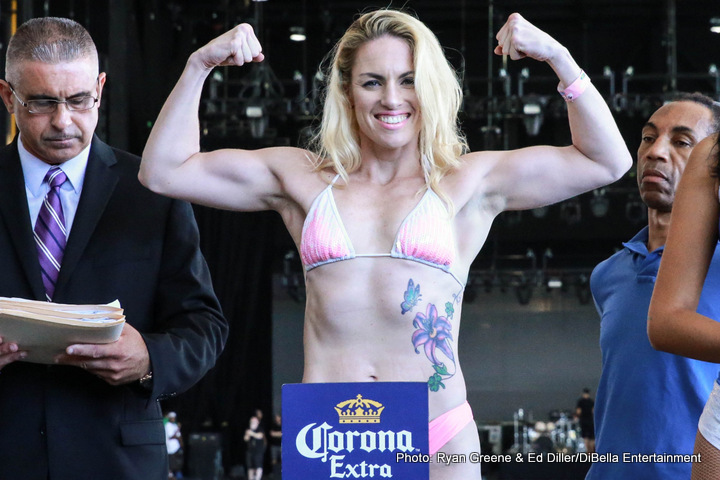 Thurman tried to get a knockout, but he kept getting caught by shots from Bundu. After a while, Thurman decided it was safer just to box him and win a wide 12 round decision. Spence has other ideas. He wants to go for a knockout at all costs. He’ll be putting his chin on the line in the same way that Gennady “GGG” Golovkin intentionally makes himself vulnerable when going for knockouts in his fights. It helps to fight like this to win over boxing fans in a hurry. 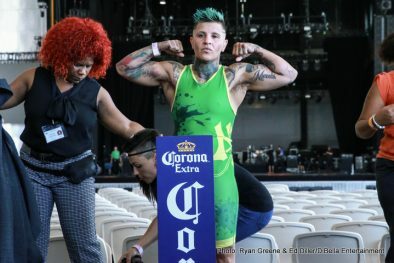 Doing it the old fashioned way like Floyd Mayweather Jr. takes too long, and it requires for you to beat a huge star to become a big attraction. 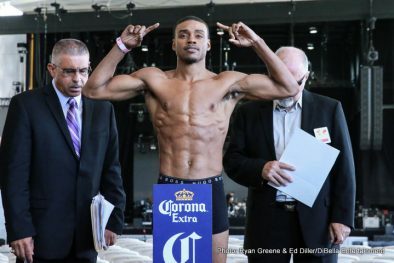 Spence plans on becoming a star the quicker way by knocking everybody.